Nikki Maxwell isn't at all surprised to find out that her crush Brandon volunteers at a local animal shelter. He's such a sweet guy - of course he wants to help those adorable puppies! Then Brandon tells her that the shelter is in danger of closing, and Nikki knows she can't let that happen. Especially when she discovers a shocking secret about Brandon that makes keeping that shelter open more important than ever., So Nikki and her friends Chloe and Zoey enter an ice skating competition to help raise money for the shelter, but (big surprise) Mackenzie has to stick her nose in and cause trouble so that she can be the one to swoop in and save the day. No way will Nikki let that happen: She'll just have to come up with some extra creative ideas this time! 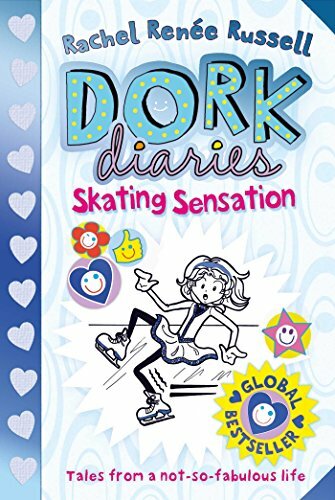 The fourth book in the bestselling Dork Diaries series by Rachel Renee Russell, author of The Misadventures of Max Crumbly (publishing June 2016).